I have just come back from my amazing three days two nights trip in Sapa, Vietnam. 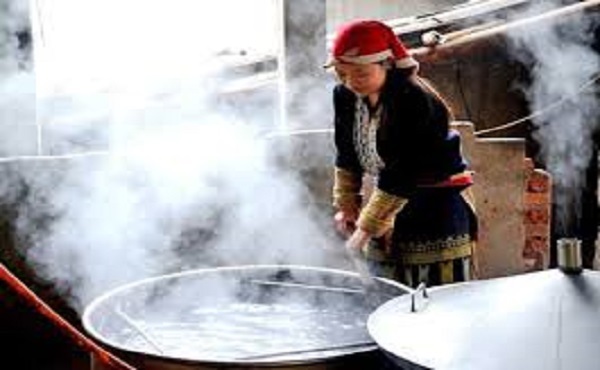 Among popular tourist attractions in the town, Ta Phin village which is home to Red Dzao has captured my heart, especially the traditional herbal bath experience in this village. As I did, travellers to Sapa often stay in the center town and you might see many spas on streets but do not rush to step in those places. 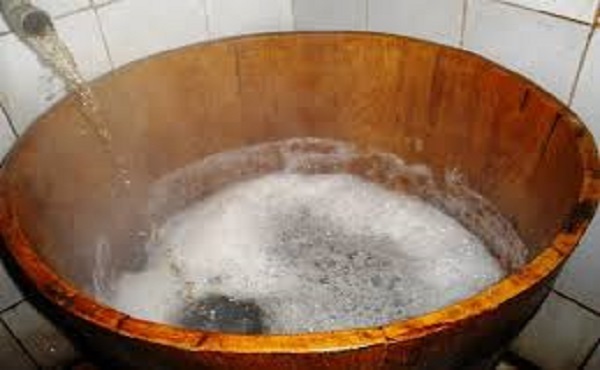 If you ask a local people in Sapa where to try Red Dzao herbal bath, the answer will certainly be Ta Phin village. You have to pay only 100,000 VND to experience an exciting journey with various stages of emotion, from curious, excited to scared and after all, relax and enjoy. My friends and I was warmly welcomed by friendly smiles of hospitable Red Dzao women and kids in Ta Phin Village. They took us to visit their village and show us peach trees in their gardens, show us where chicken are feed in a super cold winter of Sapa. All of them were adorable I find those strange things in the village really interesting. 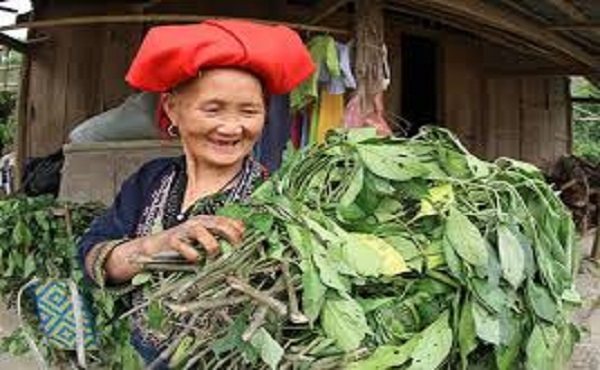 While we were trekking through the village and discovering new things, a local Red Dzao woman was at the same time preparing the herbal bath for us at her stilt house. When we all felt a little bit tired after around two hours walking and enjoying the natural scenery, typical rice terraces in mountainous northwestern part of Vietnam, bathing water was ready and we enjoyed Red Dzao herbal bath. How can I say, it was abosolutely amazing! 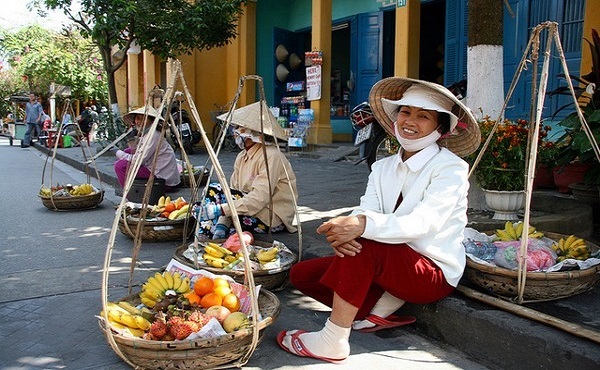 I’m so lucky to have had the chance to visit the adorable city of Da Nang. If it is possible, you really should go there and discover your own reasons why are people so in love with this city. 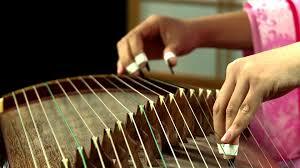 The Đàn Tranh is also known as Dan Thap Luc or sixteen-stringed zither. 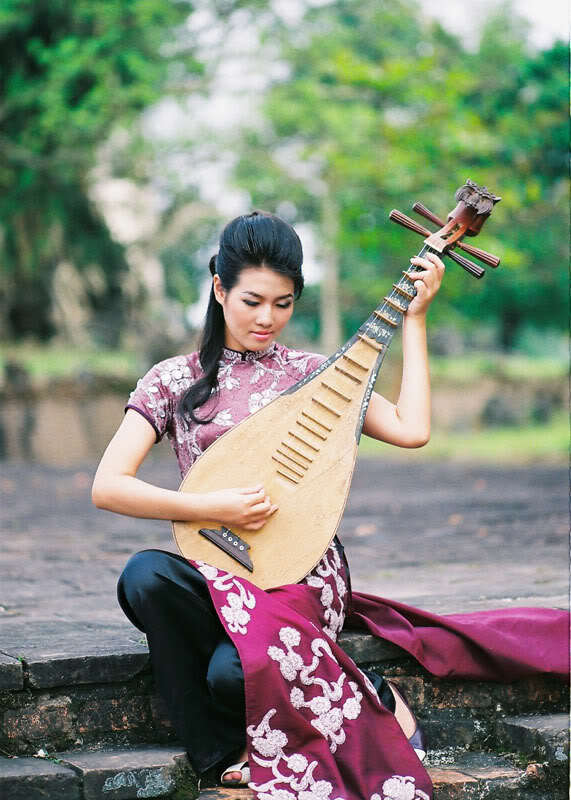 Đàn Tranh originates from the ancient capital city of Hue, where women once played it for royalty, and the instrument is still considered a symbol of the city. Đàn Tranh has a long-parallelepiped shape, resembles a bamboo tube that has been sliced vertically in half. The frame of the instrument has trapezium-shape, 110-120 cm in length. The large end is 25-30 cm in width with holes and to hang the strings. The narrow is 15-20 cm in width with 16 tuning keys on the surface of the instrument. Its surface is made of wootung tree, 0.05 cm thick and arched. 1.5. Đàn Tỳ Bà – a four-string instrument which is frequently present in a traditional orchestra. The instrument has four pegs for tuning. The strings, formerly of twisted silk, are now made of plastic while its body is made from wood of wootung tree. The player uses a plectrum which she holds in her right hand and plucks either upward or downward in a quick run. In Vietnam, Tỳ Bà is usually performed in orchestras such as Royal orchestras including Nha Nhac (Elegant music) and Thi Nhac (Poem music), Thien Nhac orchestra of Buddhism, Tai Tu orchestra, Bat Am orchestra (orchestra consists of eight musical instruments), and integrated traditional orchestra. 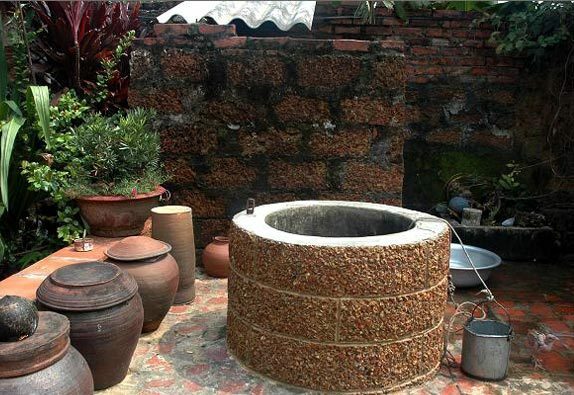 Although Tỳ Bà took its root so early in other countries, it has been localized as time went by, and nowadays become an instrument of Vietnam, which can profoundly present musical pieces of Vietnamese style in realm of instrumental music. 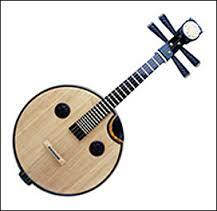 Though related to the Japanese biwa and the Chinese pipa, the Tỳ Bà has a personality of its own. Tỳ Bà recitals are well liked by music lovers at home and abroad. 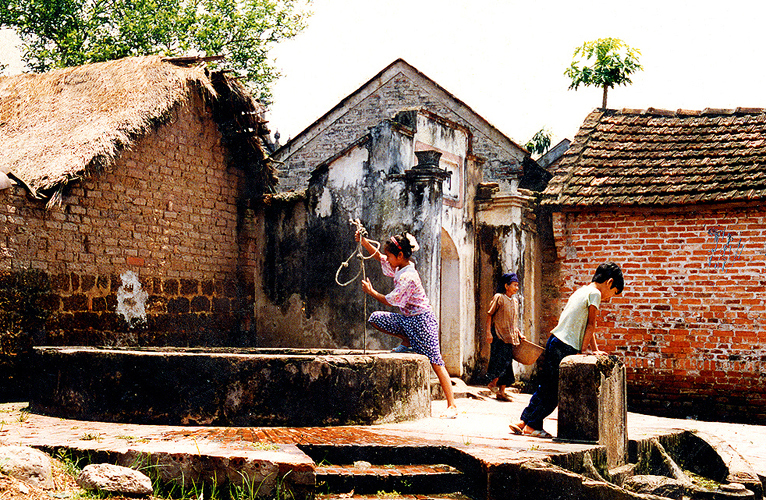 The Đàn Nhị is popular among several ethnic groups in Vietnam. 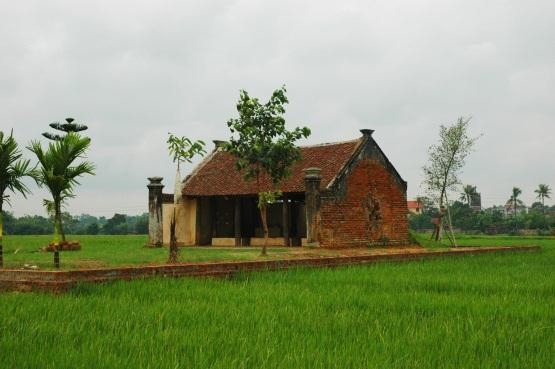 It is also refered to as Dan Co in southern provinces of Viet Nam. Nhị means “two” in Vietnamese. 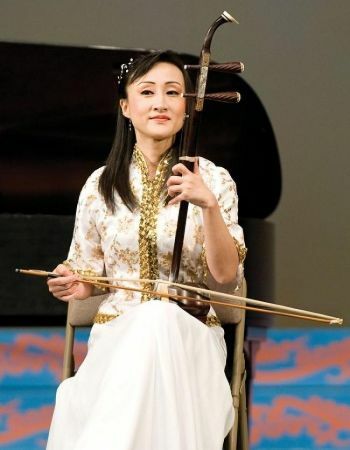 The Đàn Nhị is somewhat a sort of vertical violin with two strings, held in front of the player like a small cello and played with a bow. 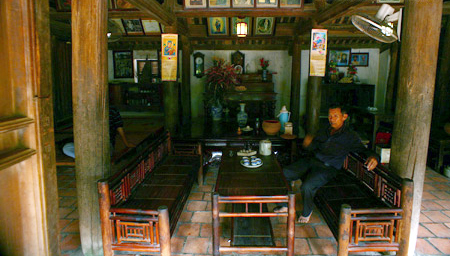 In the past, Dan Nhi strings were made from silk, but today Đàn Nhị crafts folk prefer metal. The frets on the neck are made from horse-tail hair, and the body is covered with snake skin. 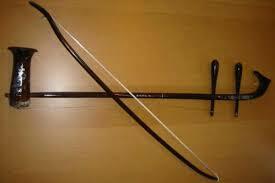 The bow is made of bamboo or wood and fitted with horsehair. The hair goes through the space between the strings. According to archaeological documents found out in Van Phuc pagoda (Phat Tich – Thanh Son – Ha Bac), an orchestra was carved on a pedestal used as a pillar of the pagoda with musical instruments coming from India and China. Two-stringed fiddle Nhị is made of rosewood. The resonator is called bat nhi. One end of resonator is covered with python skin or iguana skin. The neck is round and has no fret. The bridge of Nhi is made of bamboo or wood located in the middle of the surface of resonator’s covered end. Khuyet dan (gauge of Nhị) or Cu dan is a silk pulling two strings towards the part of neck below the tuning pegs. Gauge is used to tune the pitches of sounds. When the gauge is pulled downward, the length of strings producing sounds will be shortened, consequently it produces high pitches. And vice verse, when the gauge is pushed upward, the length of strings producing sounds will be lengthened and eventually it provides bass sounds. 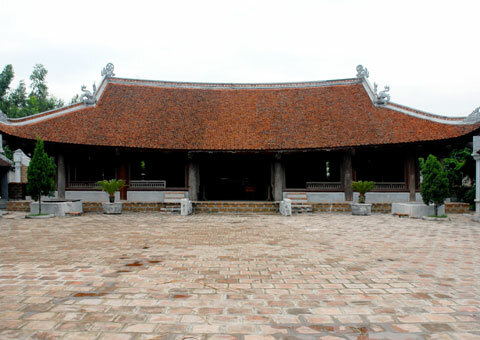 The bow of Nhịi is made of bamboo or wood and has arch-shape. The bow is put between the two strings of the instrument. When the bow touches the string, the sound will be produced. Nhị has two silk strings but recently it is replaced by metal string. 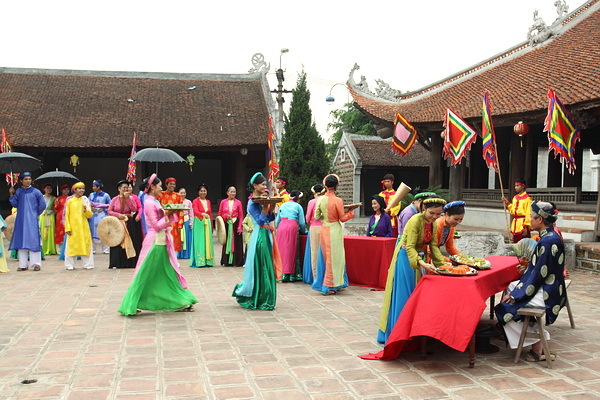 Besides values in culture and history, traditional music plays critical role in making Vietnamese life more colorful. One of the most important components of music is traditional musical instruments creating various sounds inspiring listeners. These instruments are used in both traditional and classical music of Vietnam. In this writing, I will provide you a brief introduction of traditional Vietnamese musical instruments. 1.2. 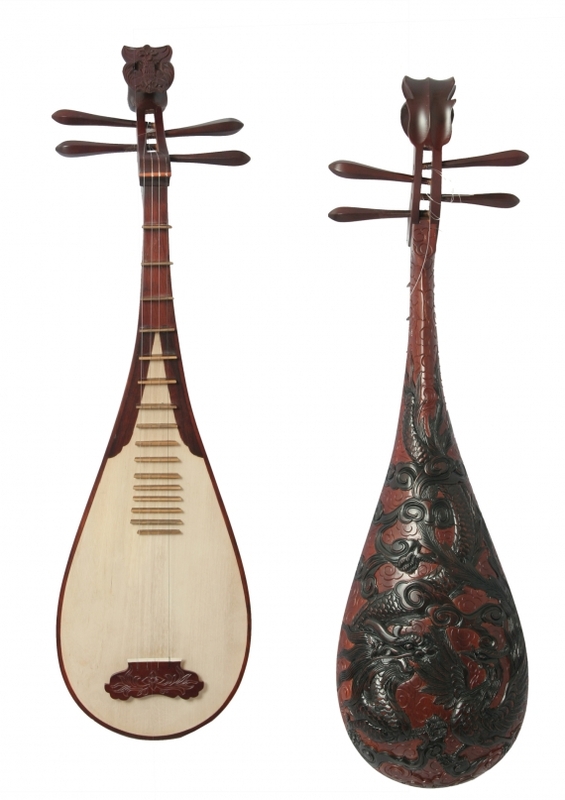 Đàn Đáy – a Vietnamese plucked lute with three strings, a trapezoidal wooden body, and a very long wooden neck with ten raised frets. Đàn Đáy is a unique instrument created by the Vietnamese and has only in Vietnam. 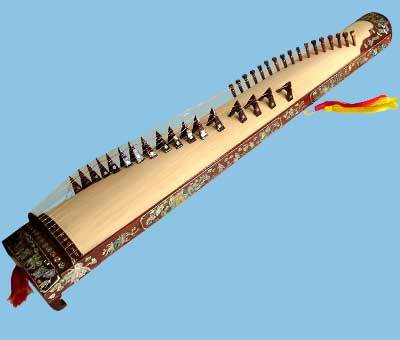 Besides, Đàn Đáy is the instrument having the longest neck among musical instruments in the world. In the Vietnamese language, Đàn is a classifier used primarily to refer to string instruments, and Đáy means “bottom.” Thus, the instrument’s name translates literally as “bottom string instrument.” However, the instrument’s body has no back. 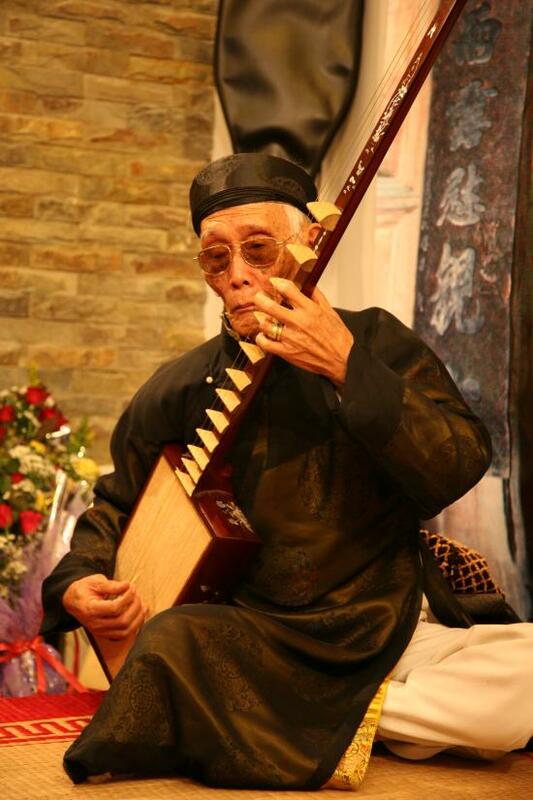 In the past, the instrument was originally called Vô Đề Cầm, literally “bottomless stringed instrument”. Players formerly used silk strings, but since the late 20th century have generally used nylon. It is used primarily in Northern Vietnam, and is one of the accompanying instruments used in ca trù. 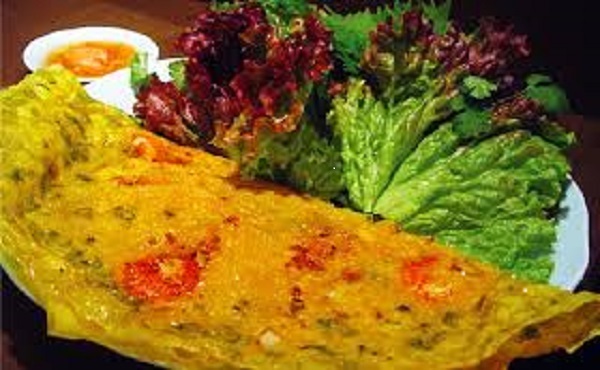 If you are in the Old Quarter in Hanoi, each evening on Tuesday, Thursday and Saturday, you can enjoy the sound of Đàn Đáy at No. 87 Ma May street. 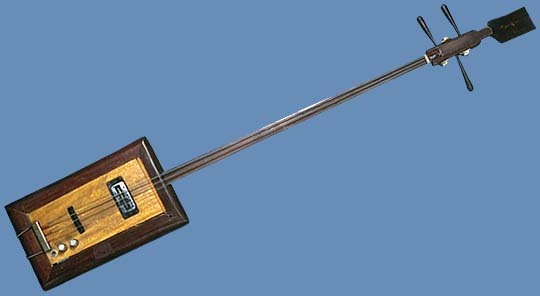 The Đàn Nguyệt “moon lute” also called Nguyệt Cầm, Đàn Kìm, is a two-stringed Vietnamese traditional musical instrument. 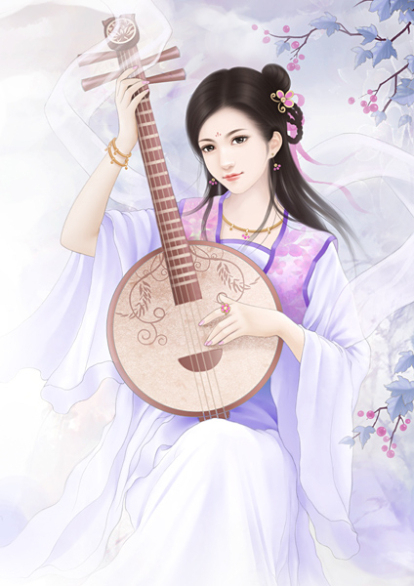 Đàn Nguyệt has two strings and the resonator resembles the moon,that is probably why it is named Dan Nguyet, which means moon lute. 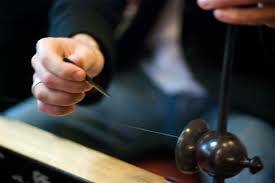 The strings were traditionally made of silk but are today normally made of nylon, which can be strummed with either finger or pick. According to ancient carvings, the moon-shaped instrument appeared in Vietnam in the 11th century. Intended to be played by men, the lute has maintained a very important position in the musical traditions of the Kinh people. Therefore, this instrument is widely used in their folk, court, and academic music. The Đàn Nguyệt is distinguished by its pure and loud sound, as well as by its great capacity to express different emotional moods. Thus, it is heard at solemn and animated ritual concerts, funerals, or refine chamber music recitals. It can be played in solo, as part of an orchestra, or to accompany other instruments. 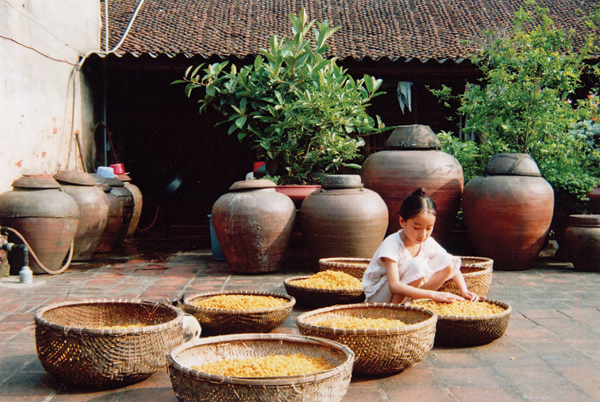 Nguyệt is used to accompany Van singing, Hue singing, Tai tu singing, Bat am music, ceremonial music and traditional stage orchestra, and remains popular throughout Vietnam (although during the 20th century many Vietnamese musicians increasingly gravitated toward the acoustic and electric guitar). 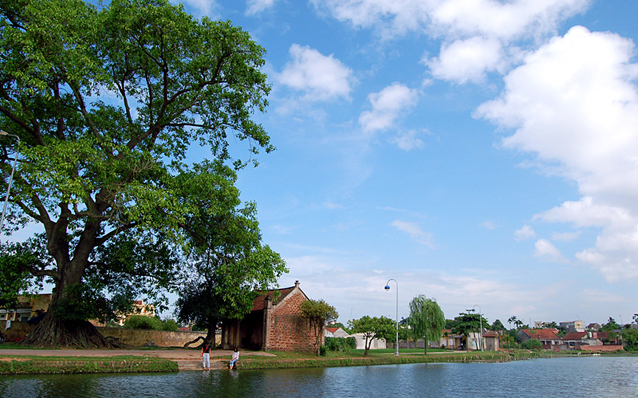 The village is the collection of five hamlets among nine hamlets belonging to Duong Lam commune, Son Tay town. 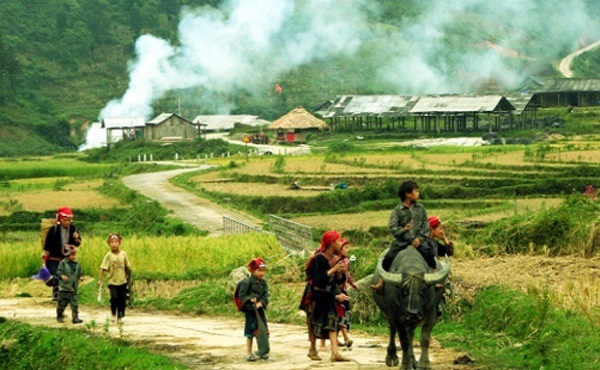 The five ones are Mong Phu, Cam Thinh, Song Sang, Doai Giap and Cam Lam with total area being about 800.25 hectares and more than 8,000 people. 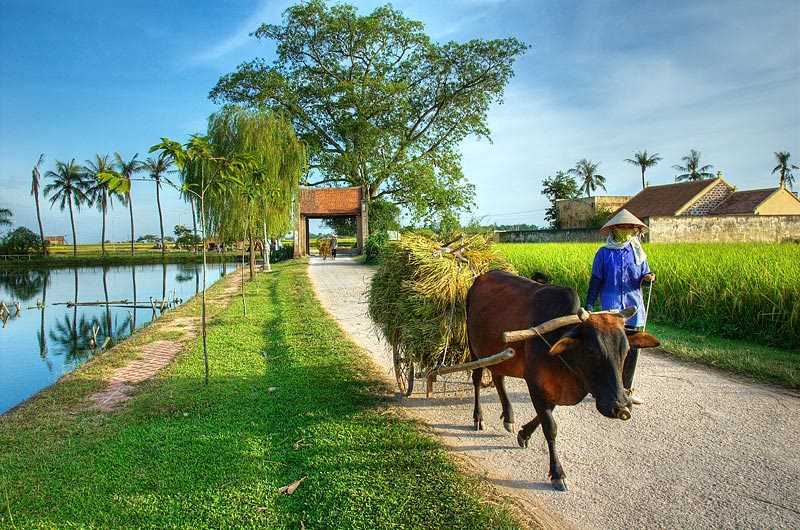 On the contrary, coming to the laterite ancient village, you can admire a “live museum” showing Vietnamese agriculture-rural lifestyle typical for wet rice cultivation. 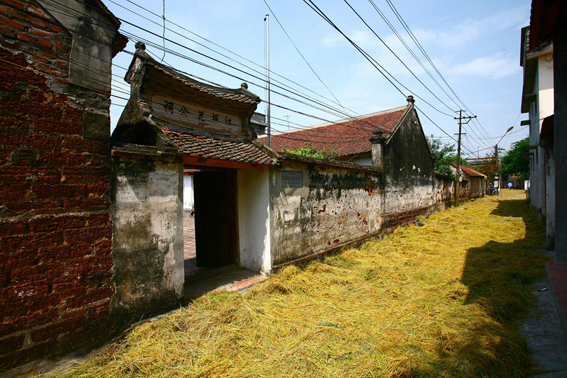 It seems that various material and non-material values of Vietnamese farmers are retained and preserved here. 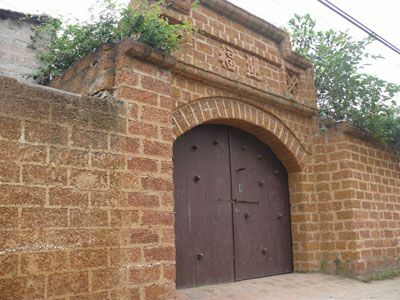 All of these unique values make Duong Lam village become attractive destination for local and foreign tourists to visit Son Tay land to come back ancient peaceful life, escaping crowded and noisy life in big cities.